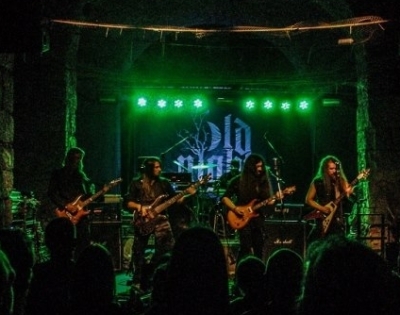 Originally created as a solo project by Ashes You Leave bassist Luka Petrović, Old Night became a full band with the addition of three guitarists and a drummer - that also gave them three male vocalists. Musically, their sound is a little like Ashes You Leave, minus the more Gothic flourishes and with primarily clean male vocals and vocal harmonies: very much at the melodic end of Doom Metal, and almost too mellow and laid back to really claim any sort of distinct Extreme or Trad tag. Interview with Old Night (2017-12-03).